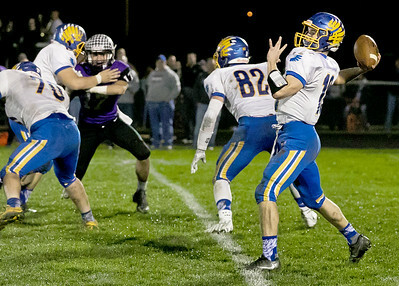 KKoontz - For Shaw Media Johnsburg's Blake Lemcke returns a kickoff in the Class 4A second round playoff game held Friday, Nov. 4, 2016 in Manteno. Johnsburg went on to defeat Manteno 49-35. 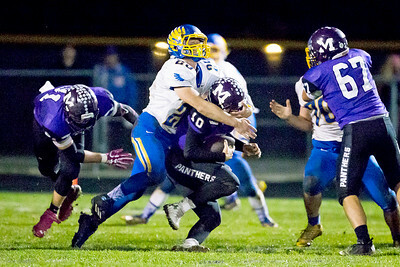 KKoontz - For Shaw Media Johnsburg's Austin Butler (25) sacks Manteno quarterback Gavin Zimbelman in the Class 4A second round playoff game Friday, Nov. 4, 2016 in Manteno Johnsburg won, 49-35. 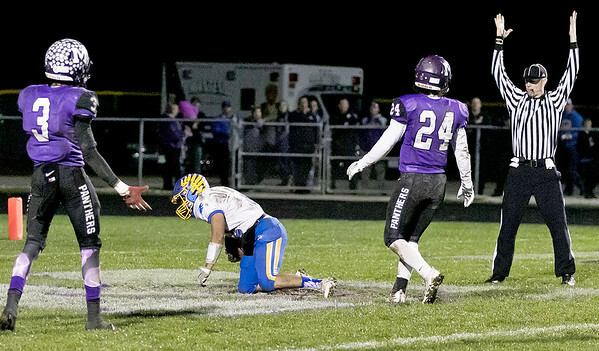 KKoontz - For Shaw Media Johnsburg's Alex Peete goes in for a touchdown in the Class 4A second round playoff game Friday, Nov. 4, 2016in Manteno. 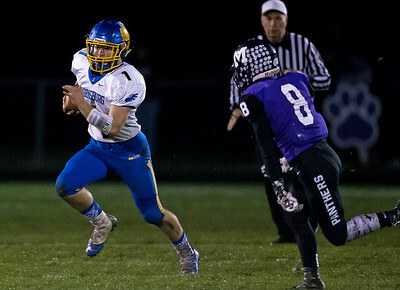 KKoontz - For Shaw Media Johnsburg quarterback Riley Buchanan throws a pass downfield in the Class 4A second round playoff game Friday, Nov. 4 ,2016 in Manteno. 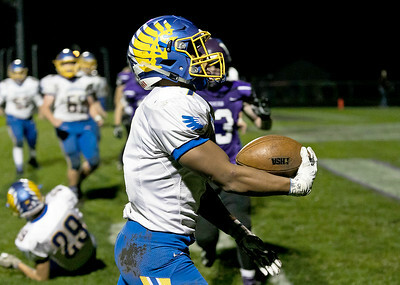 KKoontz - For Shaw Media Johnsburg's Alex Peete makes a catch in the Class 4A second round playoff game Friday, Nov. 4, 2016 in Manteno. KKoontz- For Shaw Media Johnsburg's Nico LoDolce catches a pass in the endzone in the Class 4A second round playoff game Friday, Nov. 4, 2016 in Manteno. 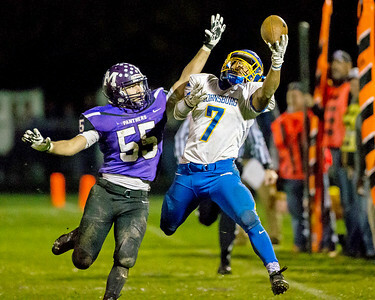 KKoontz - For Shaw Media Johnsburg's Alex Peete makes a one handed catch in the Class 4A second round playoff game Friday, Nov. 4, 2016 in Manteno. Johnsburg defeated Manteno, 49-35. 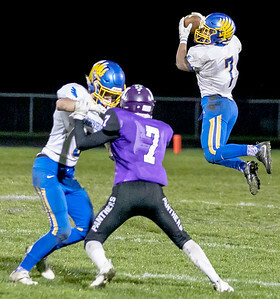 Johnsburg's Nico LoDolce catches a pass in the endzone in the Class 4A second round playoff game Friday, Nov. 4, 2016 in Manteno.